I always loved artichokes. My both grandmothers used to make me some during my holidays at their place. I still remember the smell of the boiling artichokes floating in their kitchen. When I cook some artichokes in my own apartment in Lausanne, it gives me flash back. I love this smell. What I also like about artichoke is not only the taste. Of course they are delicious but I love to play while eating. As a child, you are most of the time passively eating and you get easily board to stay seated. But with artichokes, you have to remove the leaves one by one and soak them into the vinaigrette. Then you need to remove the hairs and eat the heart. Yum. The best part. 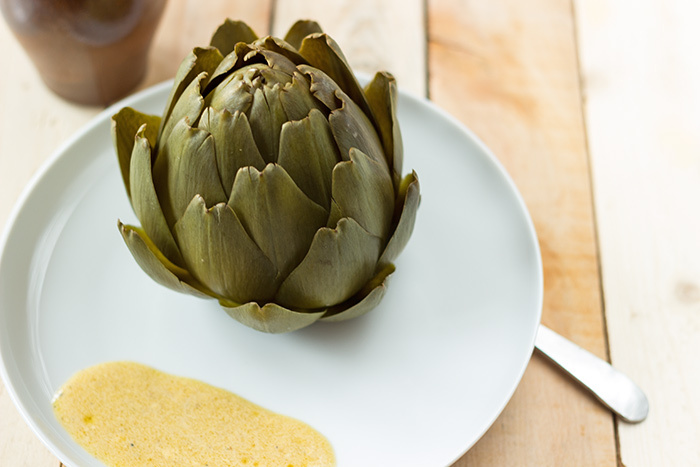 Do you know how to fit artichoke and vinaigrette without messing everything up? Place a fork under your plate. 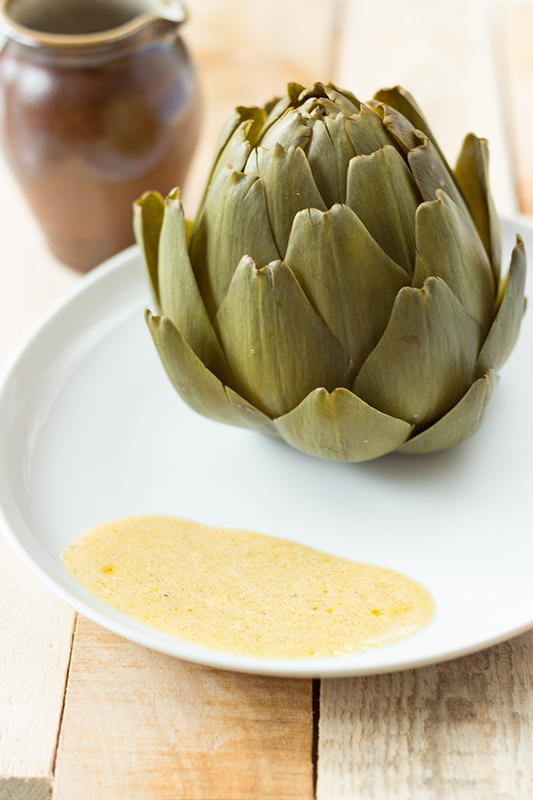 Put artichoke on top and pour some vinaigrette sauce at the bottom. This is one of the easiest recipes I know and the best way to make your children eat some vegetables. 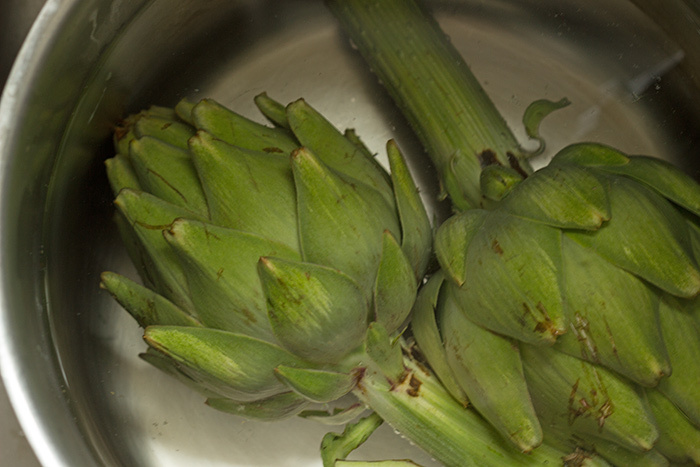 To wash artichokes soak them in warm water with white vinegar for 10 minutes. Put in a large casserole dish with salt. Cover artichokes with water. Cover and leave to cook on medium heat for 40 minutes. Artichokes’ leaves must be removed easily. Serve cold with a vinaigrette dressing. Enjoying the posts on your blog! 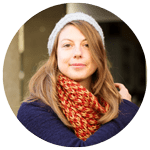 I nominated you for a Sisterhood of the World Blogging Award. Please see my post today on beckysbubbleblog.wordpress.com for details and let me know if you have any questions. Thank you for participating in this and wishing you continued success with your blog. Thank you very much Becky !